For a couple with children in college, the idea for this appealing space with creative style started with the husband’s desire to give his wife the kitchen of her dreams. 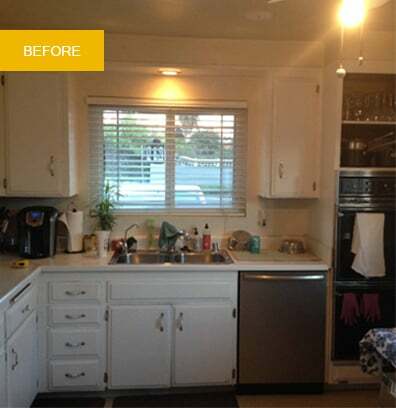 The wife loves to cook and had for years “made do” with a small kitchen that presented significant challenges. She wanted a design that was welcoming for guests and functional for an enthusiastic cook. 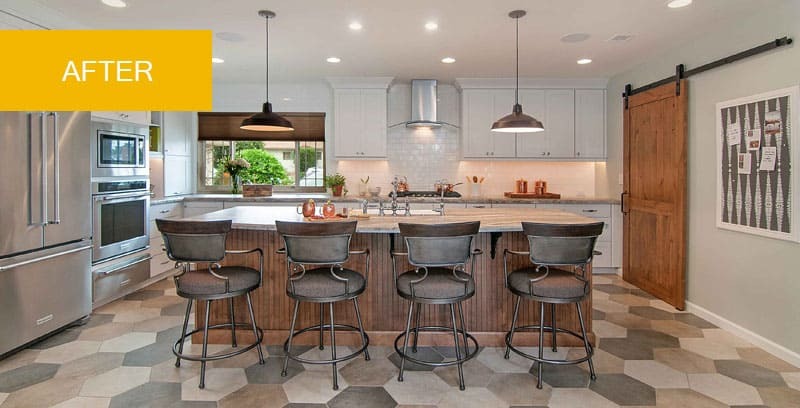 After evaluating the home, the first significant design decision was to move the kitchen from its existing place in the floor plan to the front of the home, replacing a formal living room the couple rarely used. This allowed for an expansive open layout. White cabinetry, a timeless choice, is balanced with quartzite countertops in a satin finish, mixed metals, and natural woods. A rustic barn door, pendant lighting with an industrial flair, and an apron front sink add farmhouse spirit. The striking floor is an imaginative pattern of shape and color. The kitchen is now open to the living and dining areas and the entire space delights the senses with natural light, interesting textures, and thoughtful design details.